DNA, our genetic material, normally has the structure of a twisted rope ladder. Experts call this structure a double helix. Among other things, it is stabilized by stacking forces between base pairs. 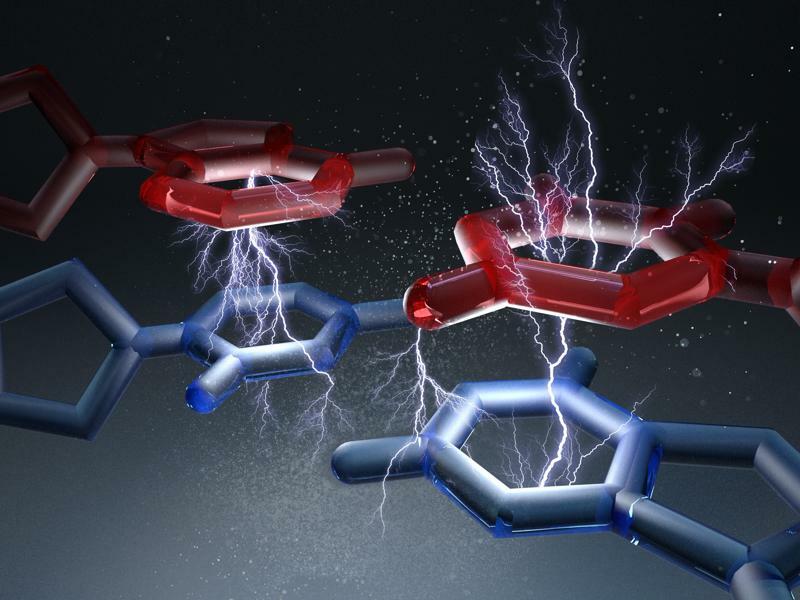 Scientists at the Technical University of Munich (TUM) have succeeded at measuring these forces for the very first time on the level of single base pairs. This new knowledge could help to construct precise molecular machines out of DNA. The researchers published their findings in the journal "Science". For another, there are what experts call base pair stacking forces, which act between the stacked base pairs along the spiral axis. The forces of the hydrogen bonds, on the other hand, act perpendicular to the axis. "So far, it is not quite clear to which extent these two forces each contribute to the overall stability of the DNA double helix”, explains Dietz. The forces measured by the researchers were in the range of piconewtons. "A newton is the weight of a bar of chocolate", explains Dietz. "What we have here is a thousandth of a billionth of that, which is practically nothing." Forces in the range of two piconewtons are sufficient to separate the bond created by stacking forces. Furthermore, the scientists also observed that the bonds spontaneously broke up and formed again within just a few milliseconds. The strength and the lifetime of the interactions depends to a great extent on which base pairs are stacked on each other.